I wish you a good start into this new week. After a short break I’ve got to come back to you today with bad news. Pittsburgh rapper Mac Miller died from a suspected overdose at 26, the Los Angeles County Department of Medical Examiner-Coroner confirms. The rapper and former boyfriend of Ariana Grande had reportedly struggled with substance abuse. Miller released his album “Swimming” in August, which debuted at No. 3 on the Billboard 200 chart, and he appeared to be rebounding. 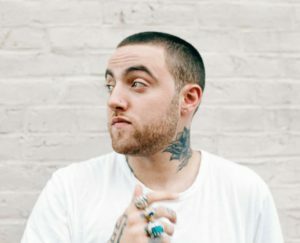 Miller, born Malcolm James McCormick and raised in Pittsburgh, Pennsylvania, released his first mixtape “But My Mackin’ Ain’t Easy” at the age of 15 in 2007. At that time, he went by the moniker Easy Mac. He signed to Rostrum Records in 2010, eventually splitting from the label in 2014. Miller was then featured on Grande’s breakout 2013 track “The Way,” beginning a successful working relationship. The two took things to the next level and started a romantic relationship in 2016, with Grande appearing on Miller’s “The Divine Feminine” single “My Favorite Part” in the same year. 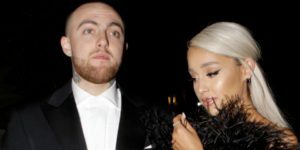 Grande spoke about their “toxic” two-year relationship, which ended in May, in a response to a Twitter user who criticized her for breaking up with him. Miller talked about the image that people had of him as a “depressed drug user” in an interview with Zane Lowe on Apple Music’s Beats 1 in July. The bonus track of today is Ariana Grande’s “No Tears Left To Cry”. I wish you a successful Monday and come back soon with another story.